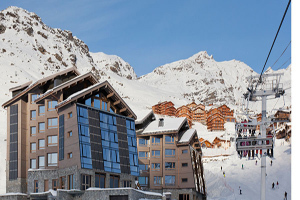 The four-star Altapura hotel in the Val Thorens resort in France will open for business next month. The 88-room property, operated by Groupe Sibuet, will have two meetings spaces. The Plein Sud meeting room can host up to 90 theatre-style, while the Cime Caron can seat 80 theatre-style. The hotel offers a range of audio-visual equipment and guests can also make use of the spa and three restaurants on site.